Can you think back to when you graduated high school? Or maybe you are a high school student getting ready to start your freshman year of college this fall. I remember this time as being an exciting new chapter of my life, but I was also nervous to be truly on my own for the first time. I spent much of my senior year visiting colleges, trying to determine what would be the best school to get an education in something that I’m interested in, run Division I Cross country and Track at, and remain debt free. I was ecstatic to find out I was accepted to the United States Naval Academy when I graduated high school in the spring of 2012. I had worked hard in school and running and it was all going to pay off. Wait. So lets rewind a bit here. I will explain a bit of background before I proceed in telling you about my college experience and a series of events that lead down a dark path of self-loathing behaviors. My parents are definitely not spring chickens. My mother was 40 when I was born, and my father, almost 50. 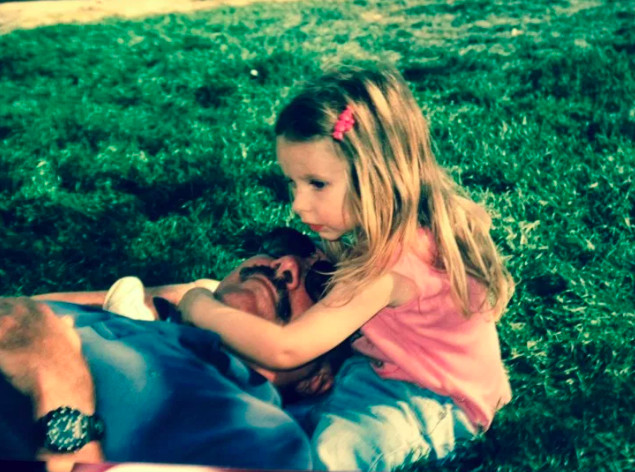 My father was diagnosed with a stomach ulcer when I was about eight years old. He was an extremely stubborn man, refusing to go to the hospital until he had lost over five pints of blood. That is most of the blood in your body! After receiving a blood transfusion, we thought that would be the end of it, minus the short term memory loss my father had after losing so much blood. About two years had passed and my mother noticed my father was easily out of breath and his skin was a bluish color. There was not enough oxygen getting to his tissue cells. Nobody wanted to worry me so I just proceeded along, doing schoolwork and beating all the boys in our mile run in gym class. My father was then diagnosed with Hepatitis C. My mother and I were tested for it as well, just to be sure we did not have it. My mother was also diagnosed with Hepatitis C. I was was not. When they told me, I just started crying. I was afraid to lose both of my parents. It took about two more years of my mom bringing my dad in and out of doctor’s appointments, almost daily. This still did not explain why my father was not getting enough oxygen to his body. I was confused and scared when the doorbell rang one day and there was a man there ready to teach my dad how to use an Oxygen tank and run the tubing through the house since he would need around the clock oxygen therapy. As time went on, his health continued to decline and we could not find any specialist out there to determine why. My mother had just gone through a series of treatments to eradicate the Hepatitis C. Finally, they determined my dad had something called Hepatopulmonary Syndrome. I still do not understand this illness to the full extent, but essentially, it moved him to the top of a transplant list VERY quickly. My parents barely had time to even process the fact that my dad was going to get a liver transplant or he was going to die, much less explain this to their now 13 year old daughter. After the liver transplant, it all had to get better, right? I had watched my parents illnesses and treatments for so long and I was approaching high school. My parents, though dealing with a multitude of obstacles were always there for me. They were a strong support system and a force to be reckoned with if anybody messed with their daughter. They were highly supportive of my running passion and were willing to go to any length to help me get to a race or come watch a practice. As the years went on, I saw the difficulties my father had to go through managing bottles and bottles of medications to prevent rejection of his liver transplant and the medications he had to take to combat the side effects of other medications. I wanted to be strong and to succeed for him. I wanted to show him, if he can fight through many years of illness, I can succeed in the classroom and racing. I had dealt with quite a bit of anxiety and depression at this point, bottling it up inside, so that I would not burden my parents with more stress. Running was my outlet and what brought me happiness and joy in a world where I was surrounded by sickness. That brings me back to getting into the Naval Academy. 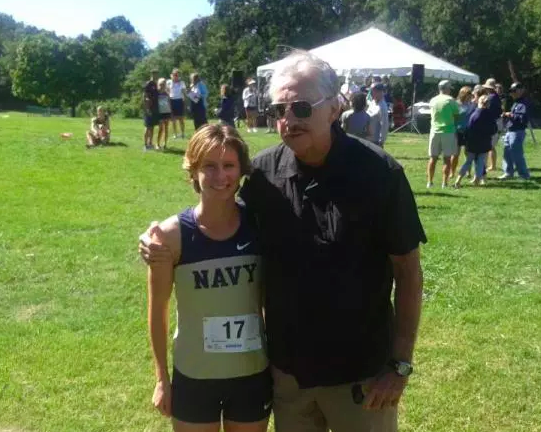 When I got into the US Naval Academy, I saw the brightest smile on my dad’s face and I could not turn down an offer like that.I started school at the US Naval Academy in June of 2012 and I hated every moment of it. Most of the students there are engineering majors, but I wanted to do something in the health field. I had never been screamed at so much in my life, much less for dropping a pencil on the ground. I was struggling to keep up in the classroom and with running. I was extremely depressed, having panic attacks daily, and sleep deprived. Then I received a phone call from my parents telling me my father was diagnosed with stage three rectal cancer, would need surgery, chemotherapy, and radiation treatments. After spending almost a whole year in what seemed like hell, I left the Academy. I was so mentally exhausted when I got home. Seeing my dad broke my heart. He had lost nearly 50 pounds. My once strong dad had aged 15 years and all you could see were his bones protruding through his yellowed skin. Just because I felt like my first endeavor on my own (The Naval Academy) was a failure did not mean I was going to fail at life. I quickly started applying to different colleges across the country, hoping to still run at a Division I college somewhere and pursue nursing school. I signed to attend the University of South Alabama in 2013 and my father looked just as pleased with me as when I got accepted to the Naval Academy. I realized that no matter what I chose, he and my mom would still be proud of me. I managed to get through my first semester with straight A’s and I loved running on my team. I was ready to head home for Christmas break and tell my parents all about my exciting first semester. I was finally starting to heal from all of the emotional pain of watching my father’s illness and my original college experience. Do You Suffer From Anxiety and Depression? You are not alone. According to the Anxiety and Depression Association of America, Anxiety disorders affect more than 40 million adults in the US. That is 18.1 percent of the population. If you need help battling anxiety or depression, please let somebody know. There is help available. The National Suicide Prevention Lifeline 1-800-273-8255 could also save somebody’s life. If you would like me to pray for you or somebody you know, please leave a comment.